BOLINGBROOK, IL (April 26, 2018) - Water Pumps Direct has revealed their highly-anticipated lists of the Best Water Pumps of 2018. Water Pumps Direct currently lists nearly 700 water pump models and published more than 2,700 pump reviews from actual customers. Using an advanced algorithm, Water Pumps Direct generates accurate grades for all of the water pumps on the site. 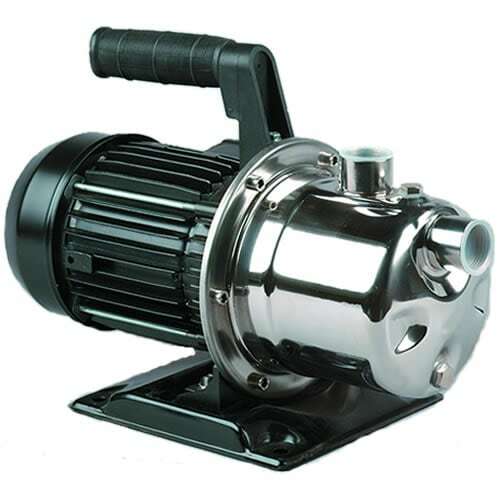 Online shoppers also enjoy real-time updates through comprehensive lists of the highest-rated water pumps on the market today. Having "the best" pump can mean different things to different people. Water Pumps Direct publishes three individualized lists for each type of water pump. Site visitors can sort water pumps according to how well a product sells (best-selling), how favorably owners review a product (top-rated), or models that experts recommend based on testing and customer feedback. Separate lists are available for each type of water pump, ranging from small submersible pumps to industrial PTO pumps. Water Pumps Direct updates its lists in real-time, unlike other "best-seller" lists on the internet which are updated annually. That way, shoppers will always see a current list of what's popular in 2018. “You can find a wealth of information on the internet,” Owiecki explained. “Our site is the best resource because we aggregate the most useful product information available. You could spend hours researching every type of pump on the market, or you could spend 10 minutes on our site discovering the perfect pump for your individual needs." The goal of Water Pumps Direct's Best-of guide is to educate shoppers with free information that doesn't require visitors to sign up or subscribe to access. "The choice comes down to simply how you would use a pump, where you would use it, how much water you need to move, and how quickly you need it moved," Owiecki continued. "Our expert insights are aimed to help you prepare to make a sensible purchase." Water Pumps Direct announces the 2018 best water pumps and the best water pumps of 2018. The product experts chose the 2018 best water pump based on sales history and customer reviews. Read recommendations on the top rated water pumps of 2018 from the experts who work with them every day.